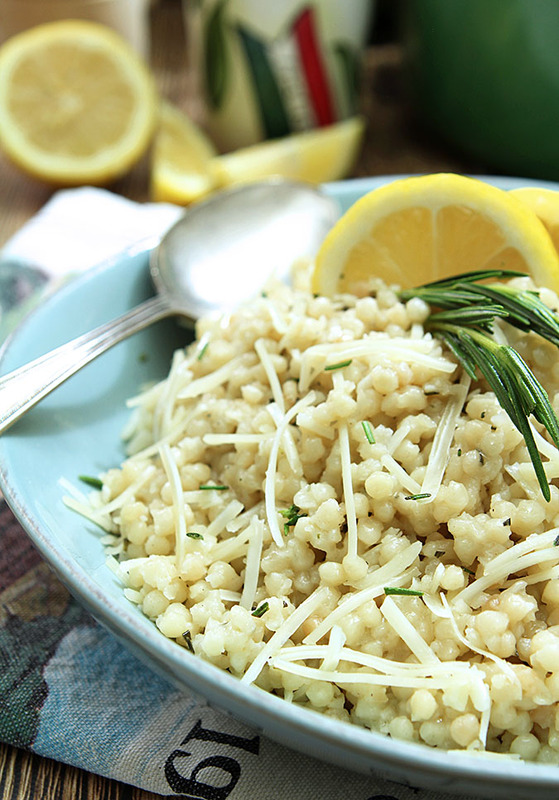 This Rosemary and Parmesan Israeli Couscous is both simple and delicious; the perfect weeknight side dish that can be served warm or at room temperature. The first time I enjoyed a dish with Israeli (or pearl) couscous I had no idea what it was. I knew of couscous as a tiny round pasta made from semolina and wheat flour and truthfully it never appealed to me; about as small as I went with pasta was orzo. Still I was served a dish at an event and was intrigued by the small round pearls included in it so asked my host what we were eating. I thought it would be something new to try and decided to make it my next mission to locate on a trip to the grocery store. 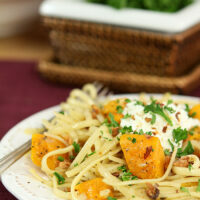 As fate would have it, I also spied a recipe using this little pasta on an episode of the Food Network. Any chance you remember the Hardy Boys? They won a season of the Next Food Network Star maybe a decade ago and had (have?) a show for a bit but they were no Guy Fieri apparently…think they’re long gone! 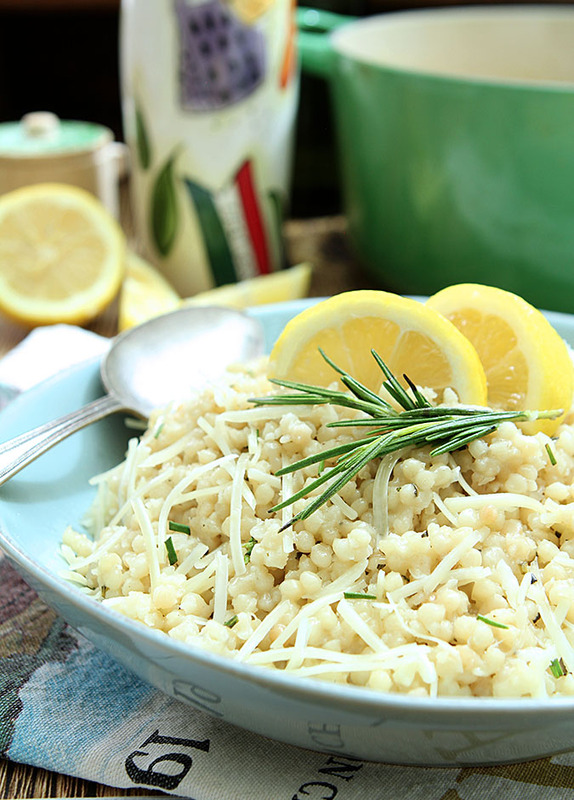 I took the basics from their recipe and added my own touches and we’ve loved this Rosemary and Parmesan Couscous as a simple weeknight dish ever since. That being said I’ve never bothered to include my version in a blog post; maybe thinking it was too simple? I have a great friend who has often reminded me that people love simple to prepare dishes and begged me to add it to my online repertoire. I recently had friends for dinner, it was on the menu and I remembered those words and decided no better time than now. 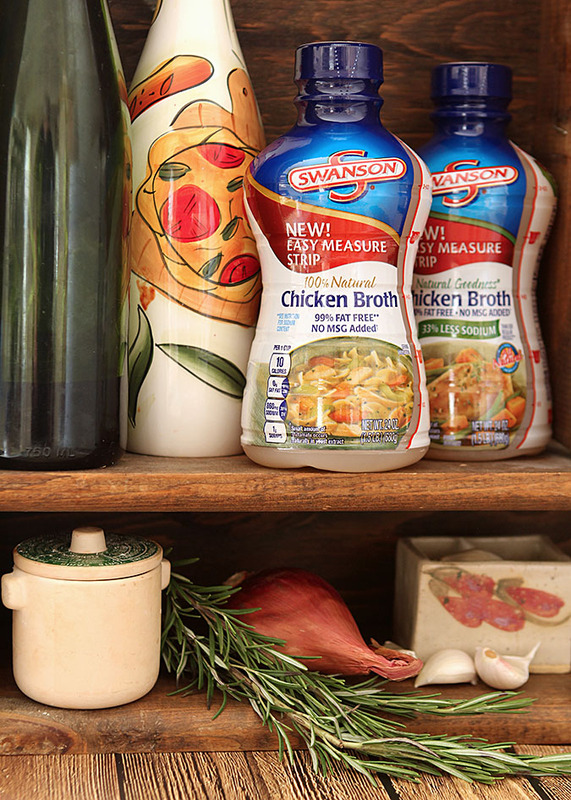 As it happens, the theme for this month’s post with Swanson® as their Brand Ambassador was ‘Show Off Your Culinary Side’ by elevating a weeknight meal using their new bottled broth to add flavor to a favorite side dish. Could not have been a more perfect opportunity! The bottled Swanson® Chicken Broth was literally made for me. I don’t often open a box of a favorite broth or stock unless I’m adding the full container to a dish so it’s often been limited more to soups and stews. I might throw some dry bouillon into side dishes but there is no way that compares to adding some Swanson® Chicken Broth and I’ve already found using either the beef or chicken stock makes rice a much heartier side dish for family dinners; why not try the same with this couscous? One thing about couscous that differs dramatically from regular pasta and is more similar to rice or quinoa is that the liquid is cooked into the grains completely, nothing is drained after cooking so the additional flavor from a broth makes a big difference. Israeli Couscous if often referred to as pearl couscous. That identifier makes sense; each orb is about the size and shape of a small pearl. But curiosity finally got the best of me as I’ve never known why it was called Israeli couscous. Legend has it that the Israeli company Osem claims to have “invented” Israeli couscous in the 1950s but in truth it is simply a marketing term for what was known previously as North African berkukes or Palestinian matfoul; all popular in Jordan, Syria and Lebanon. This little pearl has some history! Unlike the more familiar small, yellow semolina-based North African couscous, Israeli couscous is more than twice as big and is toasted rather than dried. This is what gives it such a nice nutty flavor and sturdy composition and makes for an end result that has a nice chewy bite and stands up well to other ingredients. Adding onion, garlic, rosemary and Parmesan brought some of my favorite flavors together into this one dish and my friends love it as much as I do; again I heard that I should post it and so…here I am! One caution? Don’t even think about doing this with dried rosemary; it’s uninviting and bland. Fresh rosemary is so readily available at the market today that it should not be difficult to find. It’s the first plant I get into a pot in the Spring so that I can harvest my own at least through October. Rosemary does not over-winter in Colorado but it is actually a perennial in some more temperate areas and you could possibly have it available fresh all year long. In November I start looking for stores that sell it in the shape of a Christmas tree and I’ll buy one for the kitchen just so I can make this Rosemary and Parmesan Couscous during the winter. It’s simple and yet so tasty; try it…I know you’ll agree! 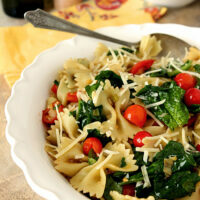 I love pasta and use it at a moments notice to throw together a dish; these are some favorites. Add the couscous. Stir to coat well and saute for 2 minutes, stirring frequently. Add the chicken broth, salt and pepper and lower the heat and let simmer until all of the stock has been absorbed, about 20 minutes. 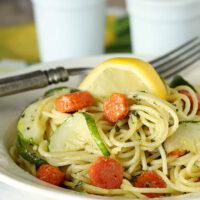 Remove from the heat, fluff with a fork, add the lemon juice and 3 Tablespoons of Parmesan and mix gently. Transfer to a serving dish and serve garnished with remaining rosemary and Parmesan cheese. Serve warm or at room temperature. I love HEB’s various premade couscous concoctions and found myself craving one today. Feeling comfortable and lazy today, I did not want to put in the effort to get ready to leave the house to pick one up and started searching online for a recipe that I could make, using what I had on hand, and found this little gem. The recipe looked simple and not many ingredients were required, plus I was happy to be able to go outside and finally use some of the rosemary I was growing. Just a short while later I tried it and couldn’t stop until it was completely gone and my craving was satisfied. DEFINITELY would make this again, but still need to find a recipe for the kalamata olives & sun dried tomato combination that I originally fell in love with! Thank you for sharing this! So glad you enjoyed it…and I hear you…its addictive! Have you thought of just making a base like this one with some chicken stock and adding the olives and sun dried tomatoes to your taste? Fantastic! Made this just now to accomoany a hoisin salmon. Creamy texture, like a risotto. This will be a regular meal item. Thanks for posting! Thanks for letting me know Sam; it’s one of those easy dishes that we absolutely love; glad you enjoyed it too! Loved this recipe. Moved it into my A Rated recipe folder. I made it exactly as designed but used chicken stock instead of broth. Served with a Parmesan coated cod fillet. My guests loved it and it literally took 20 minutes for the entire meal. I’m with you Jeff…it’s almost too easy to be so good isn’t it? So glad you enjoyed it and took the time to share that with me; thanks a bunch! Omigosh, this was totally amazing!!! Thank you for sharing this. Absolutely delicious!! Great recipe–very tasty! My only issue was when the directions said to turn the heat down twice–I actually had to turn it up so that it would get hot enough before I could switch to simmer. Thanks for catching that Shish. I’ve revised the recipe a bit to indicate bringing up the temp when the chicken stock is added…making the 2nd direction to lower the heat again make more sense! Glad you liked it; it’s one of those simple recipe that we just love! 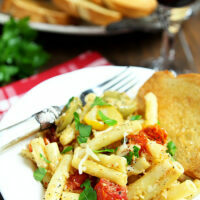 I made this recipe last night—DELISH! Definitely a keeper! Great to hear Mary; I love having readers love the recipes I think worthy of sharing and this is one I just LOVE. My friend was right to insist I put it on the blog! This sounds wonderful Barb! I adore Rosemary so it’s on my must try recipe list 🙂 Have a great day! I often add chicken stock instead of water to boil my rice as it adds a great flavour component to it so I can see why you chose to add it to your couscous dish. I’ve only had couscous once and this post reminded me that I did enjoy it. Perhaps it’s time to stock some in the pantry. Your dish looks great and sounds very flavourful. 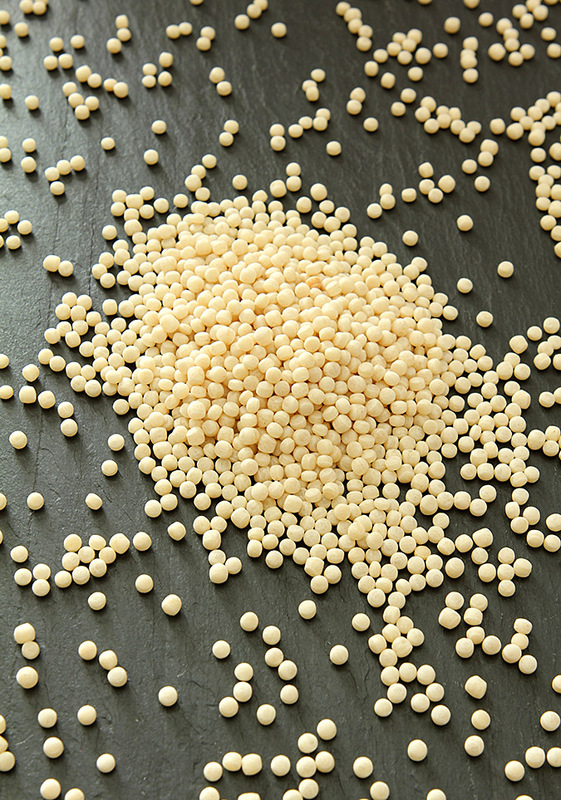 I love this kind Paula; I tried regular little itty bitty couscous only after having the larger pearl variety and it was a disappointment; guess I was spoiled! 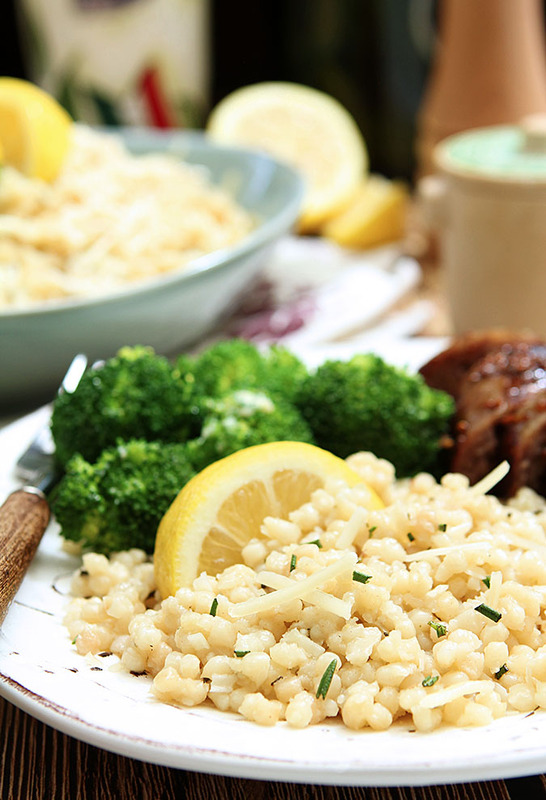 I love this recipe, the big couscous is such a great texture, and fresh rosemary rocks! My little rosemary tree has just about had it; it suffers from the dry indoor temps in Denver. Luckily about the time it’s over itself, I can plant one outdoors. We should meet in the middle and try each others recipe; love yours too! This recipe looks so good. Thanks. Doggone it…I removed that because I assumed no one was using it! I think the Food Blog Search is what you must have been using; guess there was a reason I saved those codes when I removed them huh? I’ve put it back in the left column under my Instagram photos…hope that’s what you were looking for! That’s it! Thanks so much. I like ideas and affirmation from home cooks…that’s what I am, after all. Me too Susan and glad I could help; if it’s being used than I’m glad to keep it on my site!